I grew up in Cazenovia, New York (near Syracuse), where my family had a small horse farm. 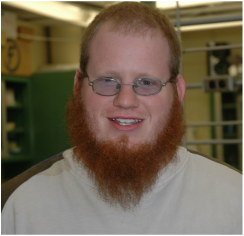 With earlier expectations of becoming a horse veterinarian, I started at Michigan State University, however then transferred to Syracuse University, before transferring to the State University of New York (SUNY) College of Environmental Science and Forestry where I graduated majoring in Forest Biology. 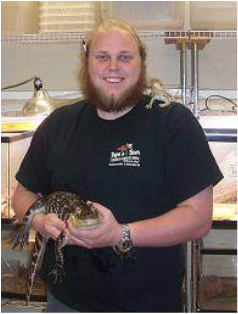 A renewed interest in animal behavior and reptiles lead to a M.S. in Zoology at the University of Oklahoma with Charles Carpenter. 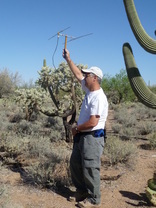 I continued west to UCLA for my PhD with Laurie Vitt where I compared the activities and energetics of the sympatric sit-and-wait foraging sidewinder (Crotalus cerastes) and the active foraging coachwhip (Masticophis flagellum). Following my PhD, I continued at UCLA in the Department of Physiology in School of Medicine in a postdoc with Jared Diamond. 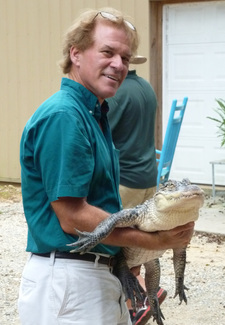 There my interest and work changed to integrative physiology as we discovered the unprecedented regulation of gastrointestinal performance exhibited by infrequently feeding snakes. 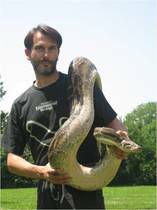 This lead to the developing of the Burmese python as a model of extreme physiology. Since, I have continued my comparative and integrative studies exploring the evolutionary and proximate mechanisms of intestinal response through my first faculty position at the University of Mississippi and now at the University of Alabama. 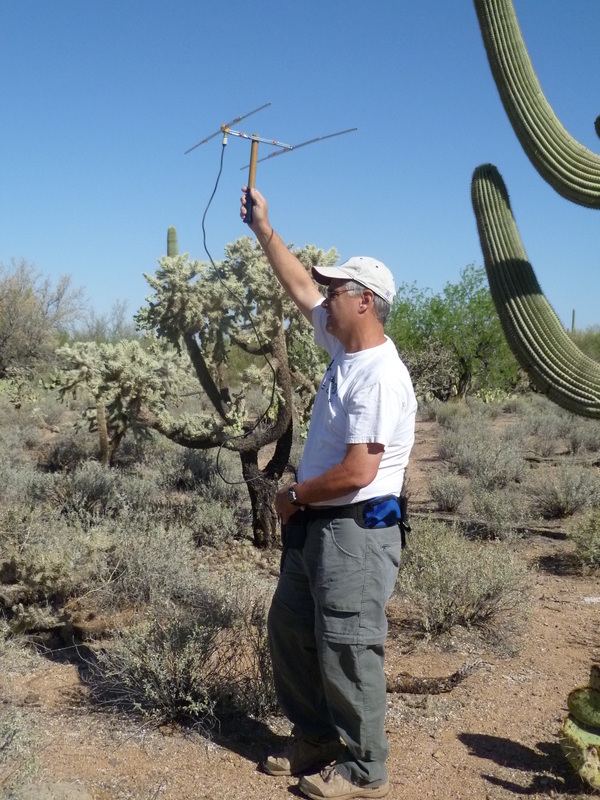 I have always been fortunate to have experienced the mentoring and opportunities to explore and discover unique biological phenomenon. 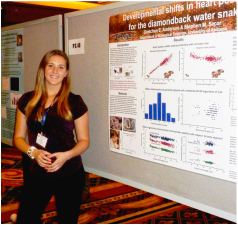 Gretchen examined the ontogenetic shifts in organ position with snakes (organs move relatively forward in the body cavity with size) and the developmental mechanisms responsible for the shifts in organ position. Anderson, G.E. and S. M Secor 2015. Differential growth of body segments explains ontogenetic shifts in organ position for the diamondback water snake (Nerodia rhombifer). Can J. Zool. 94:651-660. Anderson, G.E. and S. M Secor 2015. Ontogenetic shifts and spatial associations in organ position for snakes. Zoology 118:403-422. 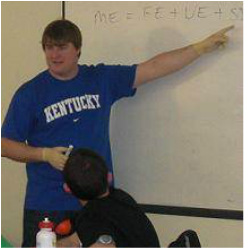 Matthew examined the estivation physiology of the three-toed amphiuma. He found that in contrast to sirens, amphiumas do not form a cocoon during estivation and experience little alteration in metabolism and tissue performance with estivation. Smith, M.E. and S.M. Secor. 2016. Physiological responses to fasting and estivation for the three-toed amphiuma, Amphiuma tridactylum. Physiol. Biochem. Zool. 90:240-256. Scott examined the gradient of luminal pH between the python’s esophagus and stomach and the mechanism responsible for preventing the acidification of the lower region of the python’s esophagus. Scott also published on the specific dynamic action of the garter snake. Scott’s publications while in my lab. Bessler, S. and S.M. Secor. 2012. Effects of feeding on luminal pH and morphology of the gastroesophageal junction of snakes. Zoology 115:319-329. Bessler, S.M., M.C. Stubblefield, G.R. Ultsch, and S.M. Secor. 2010. Determinants and modeling of specific dynamic action for the garter snake, Thamnophis sirtalis. Can. J. Zool. 88:808-820. Christian examined the integrative responses of gastric, pancreatic, and intestinal enzymes to fasting and feeding in the Burmese python. Christian also examined in side projects determinants of anuran SDA, digestive efficiencies of Burmese pythons, cost of digesting raw and cooked meals, and the postprandial digestive responses of the diamondback watersnake. Secor, S.M., J.A. Wooten, and C.L. Cox. 2007. Effects of meal size, meal type, and body temperature on the specific dynamic action of anuran. J. Comp. Physiol. B 177:165-182. Boback, S.M., C.L. Cox, B.D. Ott, R. Carmody, R.W. Wrangham, and S.M. Secor. 2007. Cooking and grinding reduces the cost of meat digestion. Comp. Biochem. Physiol. A 148:651-656. Cox, C.L., and S.M. Secor. 2007. Determinants of energy efficiencies in juvenile Burmese pythons, Python molurus. Comp. Biochem. Physiol. 148A:861-868. Cox, C.L. and S.M. Secor. 2008. Matched regulation of gastrointestinal performance in the Burmese python, Python molurus. J. Exp. Biol. 211:1131-1140. 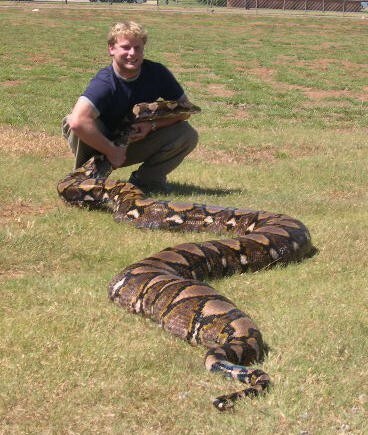 Brian’s research compared the postprandial metabolic and gastrointestinal responses to feeding and fasting among five species of pythons; African rock python, ball python, blood python, Burmese python, and reticulated python. Secor, S.M., and B.D. Ott. 2007. Adaptive correlation between feeding habits and digestive physiology for boas and python. Pp. 257-268. In: Biology of Boas and Pythons (R.W. Henderson and R. Powell, eds.). Eagle Mtn Publ. Ott, B.D., and S.M. Secor. 2007. 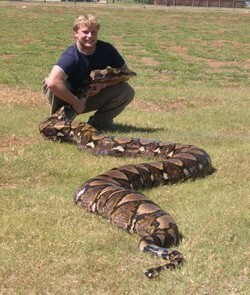 The specific dynamic action of boas and pythons. Pp. 299-310. In: Biology of Boas and Pythons (R.W. Henderson and R. Powell, eds.). Eagle Mtn Publ. 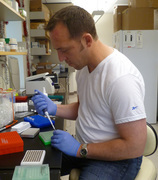 Todd Castoe, Department of Biology, University of Texas at Arlington. 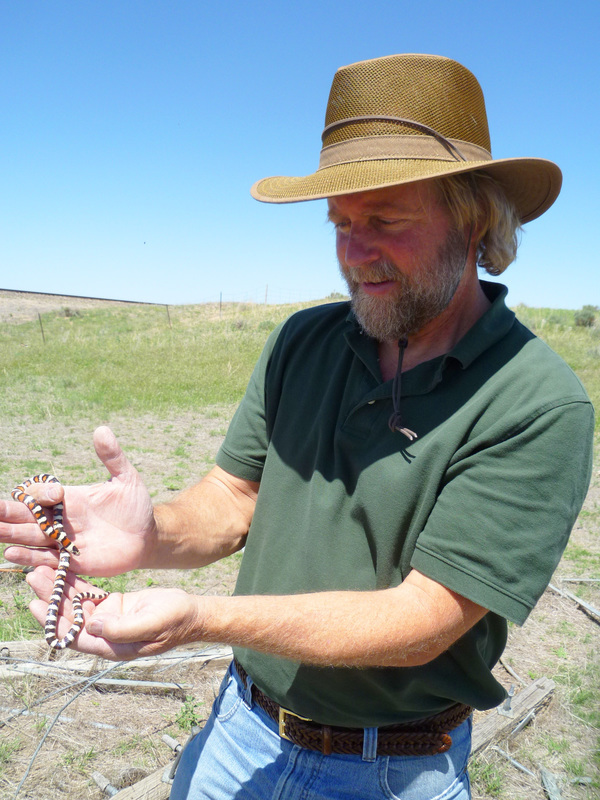 Todd and I are undertaking a series of studies on changes in gene expression with feeding and fasting for snakes and the evolution of gene expression programs for snakes. We published the genome of the Burmese python in 2013 and have since published on gene expression studies of the Burmese python. Amit and I are investigating the interactions between python plasma and the trophic response and performance of human pancreatic beta cells. Beta cells when exposed to plasma from fed pythons increase in size and insulin production. Python plasma also provides protection to beta cells from lipotoxicity. 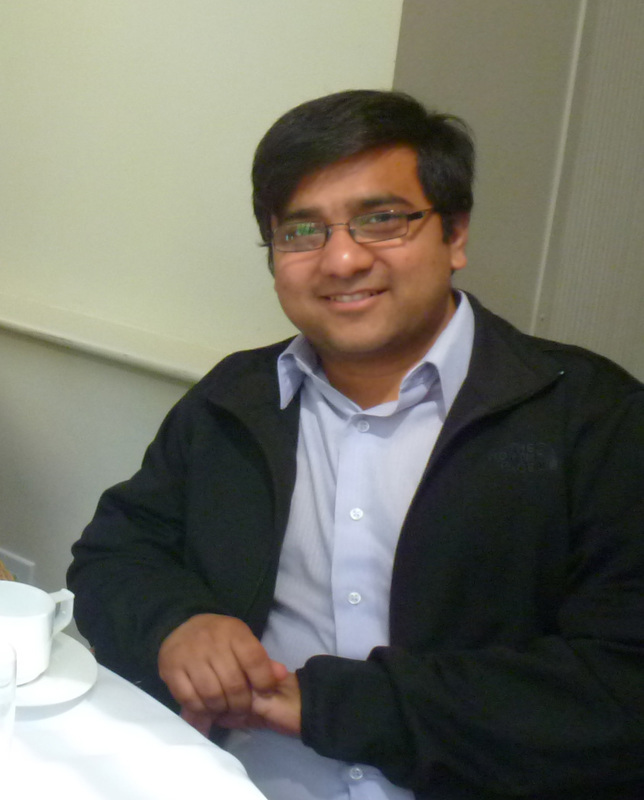 Jean-Herve and I have explored the morphological as well as functional changes of the gastrointestinal epithelium of the pythons with feeding and fasting using scanning electron microscopy (SEM), transmission electron microscopy (TEM), and immunocytochemistry. We have also described a unique cell type in the intestines of vertebrates that is involved in intestinal calcium sequestering and release. Dr. Wrangham proposed that the onset of meal cooking had a major impact in human evolution. With cooking, there is a reduction in the cost of eating which lead to numerous beneficial social and life history advances. Together with Rachel Carmondy, we demonstrated the energetic benefits of a cooked diet versus a raw diet for the Burmese python and bearded dragon. We collaborated with Dr. Leinwand’s lab to investigate the signaling mechanism underlying the rapid hypertrophy of the python’s heart after feeding, work that was published in Science in 2011. Working with Rob and Elizabeth Costello in his lab, we characterized the postfeeding remodeling of the gut microbiota for the Burmese python, published in ISME in 2010. With Dr. Grosell’s lab, we examined postfeeding changes in gastric and intestinal metabolism and the capacity for gastric acid and intestinal base secretion of fasted and fed pythons and diamondback water snakes (published in JEB 2012). 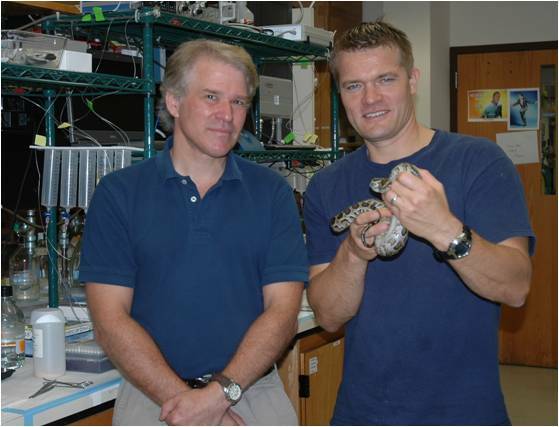 With Andrew Esbaugh (currently at Univ Texas Marine Science Institute), we characterized circulating carbonic anhydrase and renal plasticity in the Burmese python (two papers published in CBP).